Welcome to PT 635 Pathophysiology of Complex Patient Problems. This project was created by and for the students in the School of Physical Therapy at Bellarmine University in Louisville KY.
Pathophysiology of Complex Patient Problems explores signs and symptoms that emerge when homeostasis is disrupted, and addresses medical and physical therapy management of patient problems consequent to the underlying pathology. The dysfunctional states or disorders discussed in this course may include nutritional, infectious, gastrointestinal, hepatic, endocrine, metabolic, renal, genitourinary, autoimmune, connective tissue, dermatology, hematology, oncology, and immunodeficiency. The effects of age, gender, and ethnic factors on the pathology, manifestation of patient problems, and patient management are considered. The multiple effects of pharmacological intervention are addressed, including therapeutic effects and effects on patient cognitive and psychomotor abilities in physical therapy. 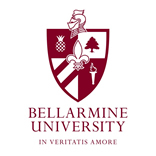 This project was initiated in 2010 and has been updated annually by the students in the Differential Diagnosis course in the Bellarmine Physical Therapy Program. In the initial stage, think of this as notes or resource area on the topic. Therefore, it is best to add as many quality resources as possible. In later stages, students and faculty will edit the content to highlight the most appropriate resources and to get the content in a more professional looking format.